Some misunderstandings about the true qualities of cypress mulch pose a threat to cypress forests. Cypress mulch is one form of organic mulch that touts similar qualities as other mulch options, including its ability to ward off insects. It's best to educate yourself on the potential hazards and confusion associated with employing cypress mulch in your home landscape. Cypress mulch is commonly held on a pedestal above other organic mulch options with the belief that cypress is insect-resistant. However, cypress mulch is not resistant to insects. As of 2010, cypress mulch comes from young, less established trees. The misunderstanding arises from obsolete lumber practices when well-established cypress trees were harvested. Cypress mulch, like other organic mulches, is used in chip form in the home landscape. 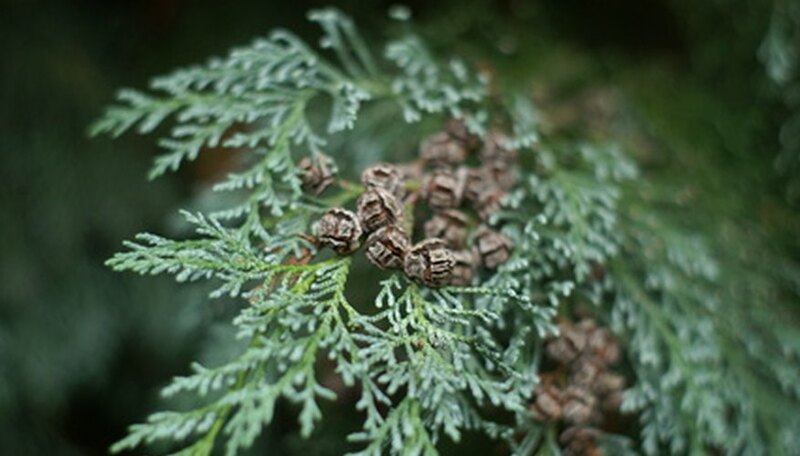 Cypress bark is often prized over other mulches for its reasonable cost and aesthetic appeal, as opposed to using compost or pine needles that create a different visual effect. It benefits the home garden by aiding water retention in soil and inhibiting the growth of weeds that attract insect pests. Once cut down, cypress forests do not grow back, even after 100 years, according to Louisiana State University. Buying cypress mulch contributes to further logging of cypress trees when the cypress population is already becoming depleted at a faster rate than regeneration can occur. Though cypress mulch was initially a by-product of logging, it has become its own industry. Misinformation and the continued use of cypress mulch for insect resistance is destroying natural wetlands. Cypress forests and swamps are natural ecosystems that support different wildlife in areas like the Gulf Coast of the United States. This results in animal displacement and the disruption of a long-established ecological balance. To keep away insects and the weeds that attract insect pests to your landscape, consider the use of alternatives to cypress mulch. Melaleuca mulch is known for its ability to repel insects. Other organic mulches like compost and pine needles are beneficial to the environment and provide the same, if not better, benefits, according to Louisiana State University.